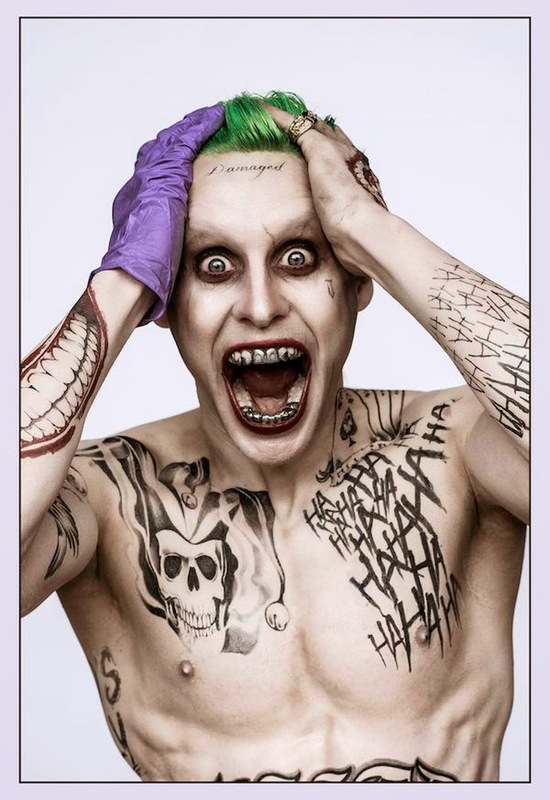 Here is your first official look of Mr. J (Jared Leto) as a present for celebrating the Jokers 75th anniversary. Director David Ayer has tweeted the first official look at Oscar-winning actor Jared Leto (Dallas Buyers Club) as The Clown Prince of Crime. The film will star Jared Leto as The Joker, Margot Robbie as Harley Quinn, Will Smith as Deadshot, Jai Courtney as Captain Boomerang, Joel Kinnaman as Rick Flag, Jay Hernandez as (we assume) El Diablo, and Cara Delevingne as Enchantress. Viola Davis will play Amanda Waller. Suicide Squad is due in theaters August 5, 2016.